Alicia Keys 'au naturale' at the VMAs. But what about her future? Alicia Keys ‘au naturale’ at the VMAs. But what about her future? Alicia Keys has been makeup free since May, in case you didn’t know. There are not many ladies, famous or otherwise who would expose their make-up free face(s) to the elements. 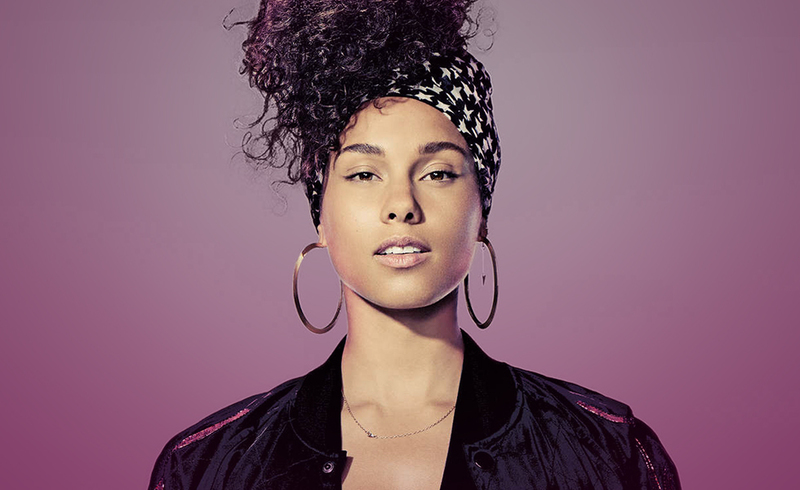 But this is Alicia Keys we’re talking about. Natural beauty Alicia has said that women judge each other on appearance, so going ‘sans maquillage’ allowed her to stay true to herself. She has revealed her worries about being photographed without make-up. Insecure, check… superficial, double check… Consequently, the voice judge who worried way too much about the opinions of others has decided that she does not wish to ‘wear a mask’ anymore and feels more beautiful than ever. Alicia, who has been blessed with brains and beauty, says that women should do what feels right. Make up or not, If it doesn’t feel good then don’t do it! Alicia drew the Hierophant, the Nine of Swords and the King of Wands. The hierophant can be about the societal opinions, representing tradition. Her interests are not always served by blind obedience and there is a need for Alicia to think freely within her environment. The nine of swords relates to the issue at hand. Alicia confronted her demons freeing herself from the past. The king of wands asks that Alicia does not rush into anything at this time. There are definite leadership qualities here within Alicia but there is also a sense of pride, arrogance and dependability. I feel that Alicia will continue sending out her message in a quest to empower those she encounters. Previous ArticleAre the ‘Married at First Sight’ couple hitting the rocks already?Next ArticleRenée Zellweger is back as ‘Bridget Jones’, but is she right to come back?